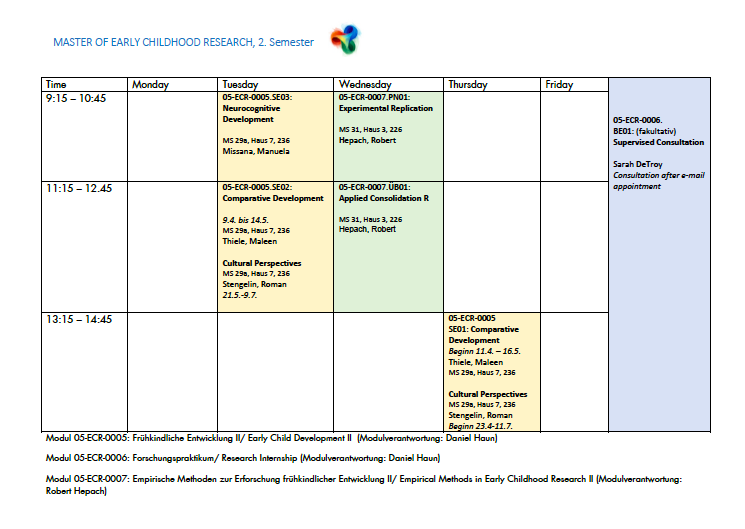 Certificate of a Bachelor’s degree or equivalent in German or English (including Transcript of Records), or evidence that graduation can be achieved before commencing Master’s program. University entrance qualification certificate, subject related/vocational qualification university entrance certificate, or a state or legally recognized equivalent or other state recognized equivalent issued in German or English. Bitee please note that we can only accept complete application documents. Here we are answering Frequently Asked Questions. For further questions, please do not hesitate to contact Study Coordinator Manuela Missana at any time. The application period for students holding a certificate from a German university is May 1 – May 31. The application period for students holding a certificate from a university outside of Germany is April 1 – May 31. Students holding a certificate from a German university apply via Alma-Web. Students holding a certificate from a university outside of Germany apply via Uni-Assist. What kind of Bachelor’s degree do I need? There is no formal restriction concerning the Bachelor’s degree. However, it is favorable if it relates to psychology, anthropology, education science and similar subjects. Do I need a special internship for the application? 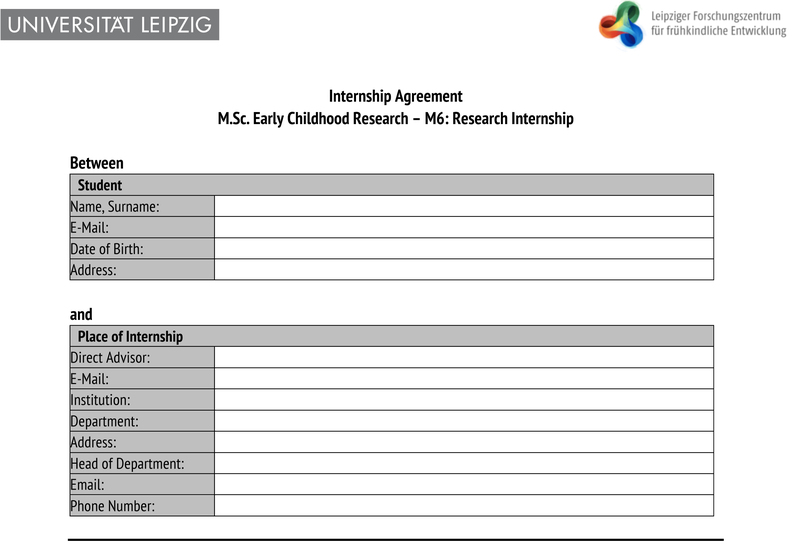 Internships are not mandatory but highly recommended (preferably with an insight into developmental psychology research). How much knowledge in English do I need to study the program? Proof of proficiency in English at level C1 of the Common European Framework of Reference for Languages is required. This corresponds to a band score of at least 7 for the IELTS (International English Language Testing System). Proof can be provided by common test results (e.g. TOEFL test). I have completed a bachelor's degree in English. Do I still have to prove my English level? Yes, the language level must always be proven, unless English is the mother tongue. How much knowledge in Statistics do I need to study the program? Basic knowledge of methods and statistics is highly recommended. Proof of this can be provided, for example, by supporting evidence of credit points earned in university courses (please enclose corresponding module descriptions) or by compiling empirical (final) papers. 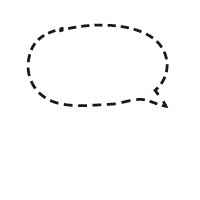 To get an idea about your knowledge you can use our "Test Yourself". When do I know whether I go accepted? You can expect to receive a feedback about mid-August. 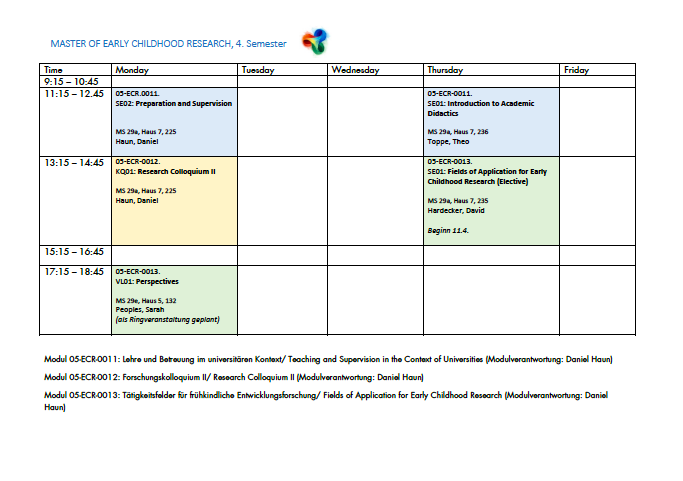 What is the standard period of study and when do the studies start? The standard period of study is four semesters and the studies begin in October each winter semester. The program is free of charge. 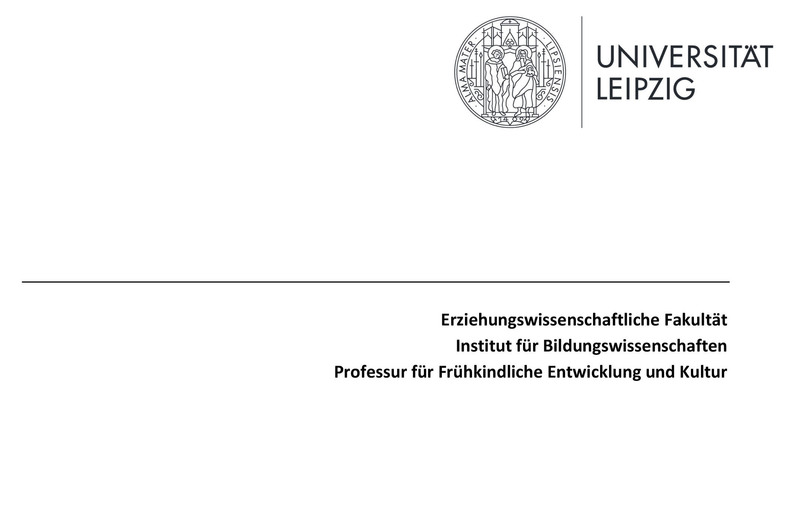 Students have to pay a rather small administrative fee of about 210 Euro per semester (which includes, for example free public transport in Leipzig). Is there an obligatory internship included in the program? Yes, the program includes an obligatory internship about 225 hours. Students have to look for an appropriate instituition by themselves. Internship institutions can be in and out of Germany. Students should keep in mind that German institutionts often require some German skills. How many students are in one semester? Will my Visa allow me to study in Germany? Please contact your responsible embassy. Where does this degree allow me to work? This also depends on the area of the Bachelor's degree. Employment in the field of research, in the university context, in continuing education or student counselling, for example, would be conceivable. Am I allowed to start a psychotherapy training with this master’s degree? Unfortunately, this is not possible at most training institutes. 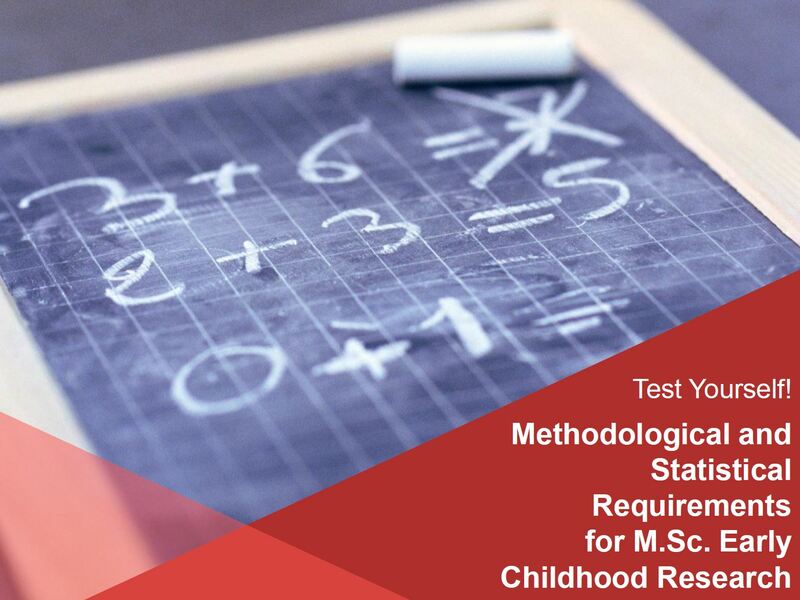 Please note that the requirements for training as a child and youth psychotherapist vary from state to state. Can I apply for a stipend? Of course! There is a data bank called Stipendienlotse (in German) where you can search for suitable programs and also this data bank (in English). How can I find a side job? The Studentenwerk (Student Union) of Leipzig University offers a job placement service (in German). Please also note the offers of the career service. Does the university offer guidance for housing? Please refer to the website of the Studentenwerk (Student Union). Can I make a consulting appointment? Of course. 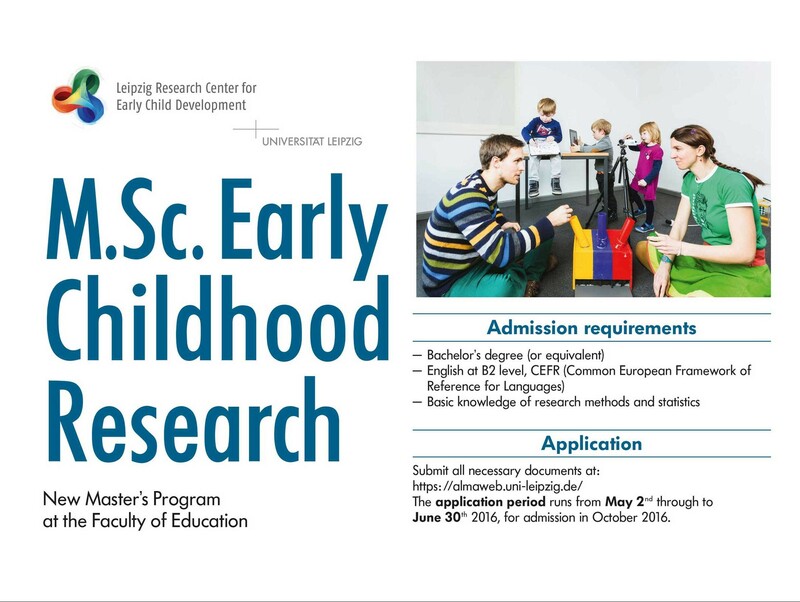 Please contact the study coordinator Manuela Missana. 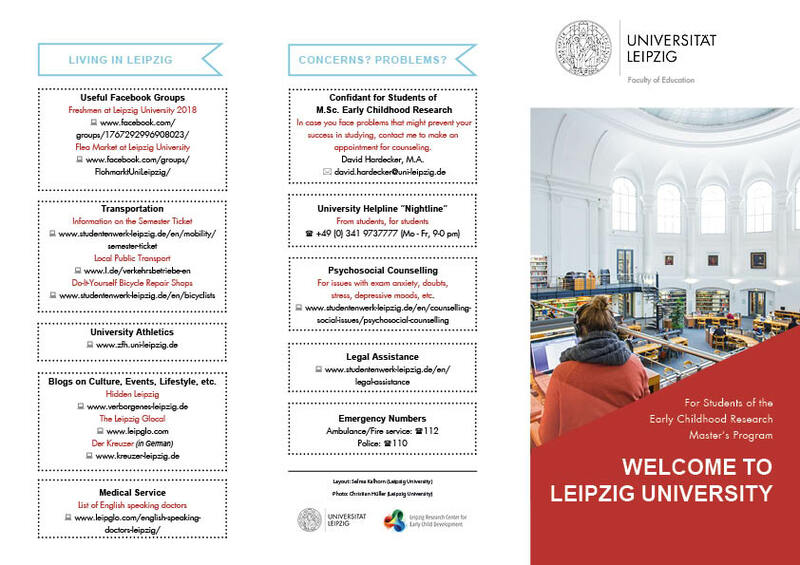 What do I have to consider as an international applicant when I move to Leipzig? The staff of the International Center will be pleased to assist you at any time.